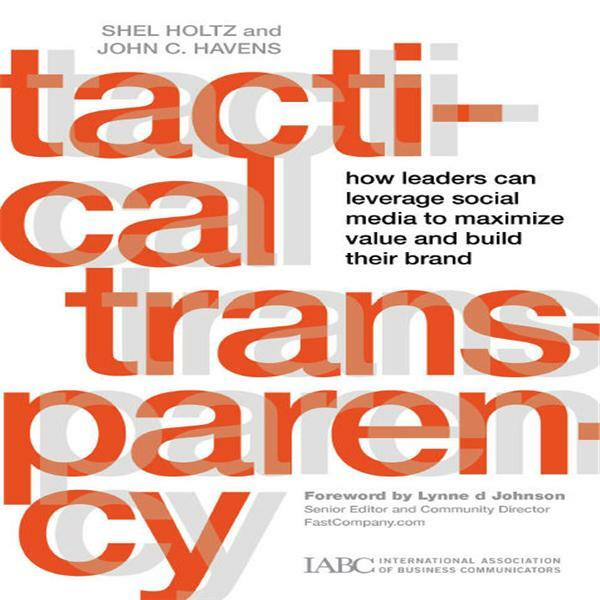 John C. Havens and Shel Holtz conduct live interviews/discussions regarding Transparency in Business. John C. Havens interviews Blair MacIntyre of Georgia Tech on his / GA's leading work in the field of augmented reality. John C. Havens interviews Jen Walsh and Sean Gannon of GE about GE Reports and Augmented Reality. John C. Havens interviews Valorie Luther of Creative Concepts about her Business Smart Tools Conference. John C. Havens interviews Jeremiah Owyang of Forrester Research and John Andrews of Walmart about Emerging Media, transparency for brands, and panels/trends to watch for at SXSW in Austin.